When the electronic and mechanical design domains are working together, it’s easy to get products to market on time and on-budget. 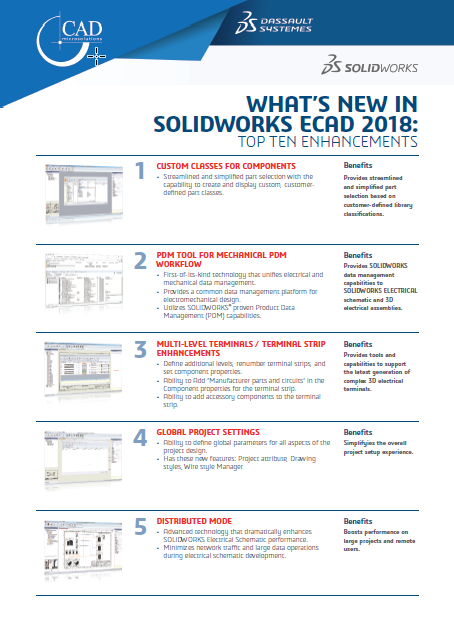 The SOLIDWORKS PCB Connector extension makes collaboration an easy and streamlined process with linked design data between Altium Designer and your mechanical designer’s environment in SOLIDWORKS®. Keep everyone on the same page in the design process. Instantly push changes to component placement, board shape, and mounting holes and other critical aspects of your designs between Altium Designer and your mechanical designer’s environment with a managed change process. Always remain in the know about what changes were made to your design and when. A detailed comment and revision history shows exactly what changes were made to your design with the ability to accept or reject changes instantly. Seamlessly communicate and collaborate with your entire design team, regardless of their physical location. Store design files on your network and you can collaborate with your team wherever they may be. 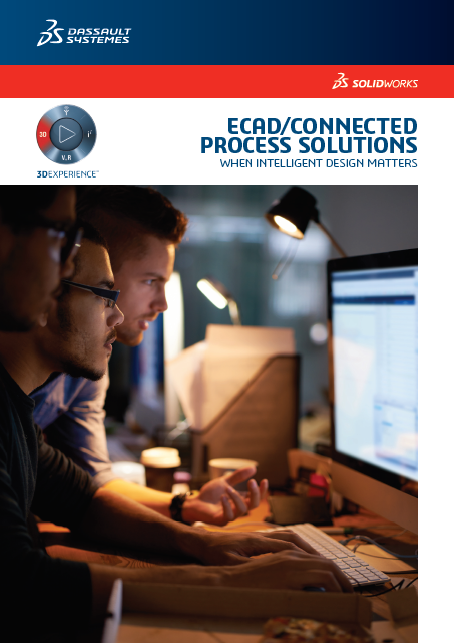 Intelligently connected design data between Altium Designer and your mechanical designer’s environment opens up new possibilities for design synchronicity. 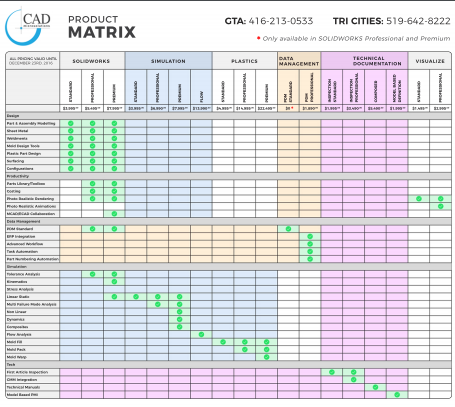 Integrated design data allows your mechanical designer to start a board design in his trusted environment, and opens up a rich source of electronic design data for deeper analysis and discovery options with new simulation options. Ensure that your boards are efficiently designed and operational with expanded simulation options in your mechanical designer’s environment. Open board assemblies with included copper information and perform detailed thermal, vibration, and other simulations in your mechanical environment. Get the most precise data to understand your mechanical designer’s original design intent by linking to Parasolid models for enclosures and component models. Native mechanical models takes the guesswork out of your 3D clearance checking process, ensuring that your board fits right the first time. Save time when developing components by intelligently linking your electronic and mechanical data for components together. By treating components as one connected whole, you can make changes to electronic data or mechanical models and have those changes reflected in either design domain. Maintain your distinct workflows without having to sacrifice your own productivity for anyone. Leverage your existing efficiencies in Altium Designer and manage the lifecycles of your components without having to wait for your mechanical designer to finish their 3D models. When both sides of the component creation process are complete, easily join this data together into a single unified component shared by everyone. Link your mechanical models and electronic data together as a single managed project. Push board design changes to and from Altium Designer and your mechanical designer’s environment. Your mechanical designers deserve just as much clarity about your design process as you do about theirs. 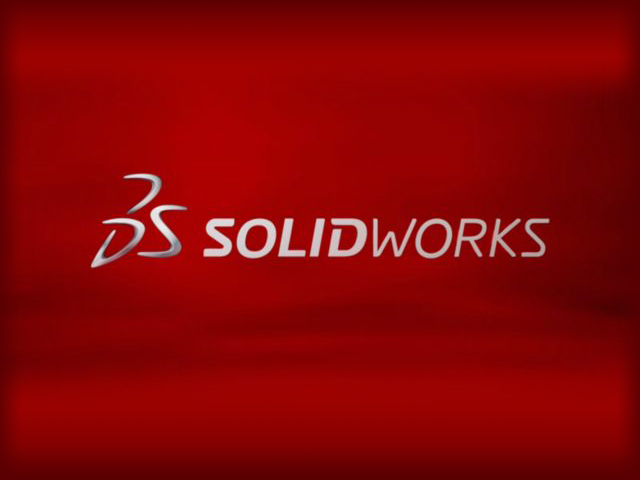 Install the SolidWorks PCB Connector plugin in SolidWorks® to intelligently connect your mechanical designer’s environment with yours. 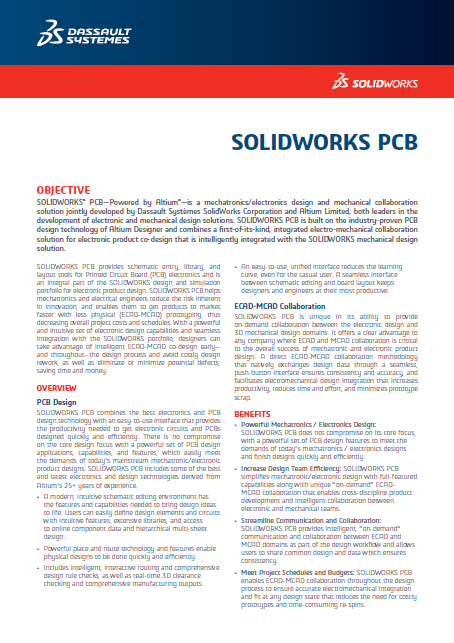 The SOLIDWORKS PCB Connector is available as an extension to Altium Designer and is distributed through CAD MicroSolutions in Canada. Follow the link and complete the form to have a CAD MicroSolutions expert contact you to answer your questions and discuss any of your needs.